Legal Scanning: Can You Afford Not To Go Digital? Manual document management is a drain on the budgets of law firms nationwide but companies tend to overlook this when they’re looking for ways to save costs. A simple change to electronic document management can bring cost savings right across the legal sector. From staff cuts to budget tightening, law firms are trying anything to claw back funds and make a profit year on year. One area many companies don’t look however, is at their document management systems. It may seem strange that something so basic can bring such significant cost savings. 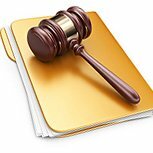 How Does Legal Scanning and Digital Document Management Save Money? With an old fashioned, manual document management system, there is expenditure in many areas. For one, if a firm stores a large amount of files and documents, they need somewhere to put them whether that’s in a specific on-site storage space or in off-site storage facilities. The space isn’t free and certainly doesn’t come cheap! Storage costs can be extortionate for what is essentially the storage of some paper albeit containing very important information. With legal scanning and the adoption of an electronic or digital document management system, companies will no longer need to store files in hard copy and they can be securely disposed of to free up that space and claim back money. With a manual document management system, legal documents need to be photocopied or printed to be shared among the necessary parties meaning money is wasted regularly on printing, ink and equipment costs. With legal scanning, this expenditure can be eliminated completely as digital files can be sent via email or access via the cloud or shared networks to give everyone the necessary information much quicker and cost effectively. With a manual document management system, office efficiency is significantly stalled. Paper documents need to be retrieved from storage when the information they contain is needed which can be a timely process and you don’t need telling that the longer it takes, the longer work takes which wastes potential profits away. With electronic document management, legal documents can be searched for and accessed at the click of a button from anywhere at any time. All you need is for your digital documents to be indexed and converted to fully text searchable documents using OCR and you will have a quick and simple document management system at your disposal. Here at Pearl Scan Solutions, we offer an exceptional legal scanning service which can be tailored to suit the needs of each company on an individual basis. The service is successful yet affordable to help you reap the cost saving benefits immediately. Our legal scanning process is built around efficiency with a quick turnaround of documents as well as ensuring the safety and security of your documents and the information they contain. Any worries about legal admissibility of scanned legal documents can be addressed and for more information about Pearl Scan’s legal scanning process, get in touch today or visit the Pearl Scan Legal website.